When it comes to SEO, it’s imperative to know exactly what SEO is, and how it can benefit your needs. Whether you have a business or any type of website, if you understand how applying the right types of SEO can benefit you and your business, you’ll understand why your business, your site, and your ranking will not only improve, but will thrive. So first let’s talk about what SEO is. SEO is short for Search Engine Optimization. SEO is what’s needed to rank high in search engines and improve your website and business. When someone has a business or any type of career where they want to attain more clients, popularity, fame, visibility, and ultimately, success, they need to hire an SEO specialist or expert in the field of internet marketing or they can learn about SEO themselves and be more hands on. In my personal opinion, I believe that best approach would be a combination of the two. Like the saying goes, two heads are better than one. Especially, if you pick an intelligent, wise, and pure (yes, pure) SEO expert. What? Hire a pure SEO expert? Who ever heard of such a thing! Well now, welcome to the world of paying your dues, putting effort into things, striving towards your goals, and getting the best results by doing things the good old fashioned way, with hard word and dedication. Now that we’re hopefully on the same page. There are two types of SEO experts and specialists. One of them is righteous and will do things the right way, getting your ranking high (or low, if it’s for Alexa), and getting you the maximum visibility on the web. The other SEO expert will take some side streets, short cuts we can call them, and get you towards the top of Google and other search engines, and improve your ranking as well. Same thing right? Wrong! When it comes to those two types of SEO experts, one of them will most likely get penalized by Google for messing with and trying to get around the system by getting quick results without putting in the hard work. Sure, it may seem tempting, and they might even be successful people. They might be able to talk the talk and then show you great results. But watch out! Down the line, at some point, your ranking and your business will get set back for maybe a year, maybe two years, and it will all depend on the extent of what that specialist that took shortcuts did for you to get you those quick results. Getting a great ranking on the internet doesn’t happen overnight. It takes hard work. Don’t get me wrong, because if you know what you’re doing, you can get a great ranking and quickly, and even when you do things accordingly and by the rules. We should never be okay to settle for short term light and longterm darkness. If we truly care about our business, our careers, our new start ups, and our websites, then we need to be willing to pay our dues, and kick our own butts by being willing and determined to put in the hard work that will bring us to attaining our goals and becoming successful. The above mentioned SEO specialist either practice white hat SEO or black hat SEO. This is obviously not a race thing, so don’t go there. This is merely the technical terms. 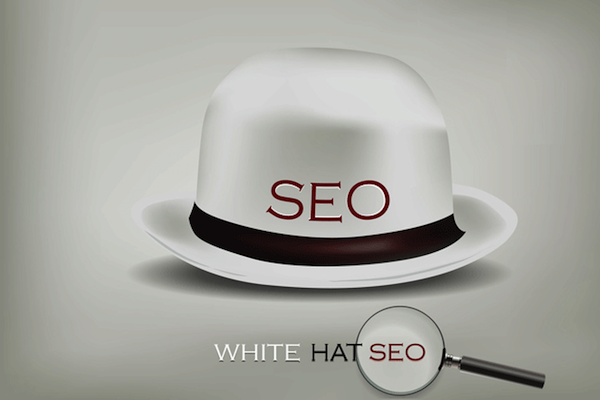 White hat SEO is doing thing by the book, so you don’t get penalized for foul play. Black hat SEO is the type of SEO that may seem appealing and could bring you quick and immediate gratification, but as most of us know (or should know at least), it will be short lived happiness, and ultimately doomed. This is why it’s so important to trust the SEO expert that you hire. Hiring an SEO expert is like basically giving the rights and ownership temporarily to the specialist. When you put your work into someone else’s hands, you’ll never get the same results that you would, if you did things yourself. However, many times, hiring an expert in a particular field such as online marketing, social media marketing, etc., can improve your chances at success, and in a big, big way when they’re good at it. Just make sure that they don’t pull any quick tricks by doing any black hat methods. The last thing that you want for your business, your company, or your website is a setback. My motto for everything in life is to be righteous, and do things in a way where you can look at yourself in the mirror, and feel proud of yourself on the deepest of levels. You need do-follow backlinks on high page ranked sites. You need do-follow backlinks on websites/blogs that have a great Alexa and Moz ranking. You need to create a website that’s SEO friendly, as well as a blog that will meet the same SEO standards. You’ll need to create a few micro websites to help your rankings. You’ll need to learn a lot about the different white hat SEO techniques that I’ll be sharing with you here in this section of my blog. Advertise on high ranked websites in widgets. You’ll need to write articles regularly on all of your blogs and websites that are filled with interesting and al unique content. You’ll need to learn about backlinking and appropriately apply internal backlinks when appropriate. You’ll need to guest post on different websites and blogs. Get some link juice! Install an Alexa Toolbar onto your computer. Learn about different optimization techniques like picture optimization. 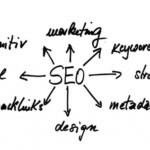 One great way of doing SEO is to get backlinks on highly ranked websites. Business’ generally look at rankings, visibility on the web, and popularity (authentic followers) when it comes to where they’re willing to pay to have their backlinks. Some sites are free, but their rankings aren’t going to compare with what a high ranked site can provide, and definitely won’t boost your rankings and get you to the top of Google and other major search engines. The point of getting do-follow backlinks is to provide your website with “link juice,” which is what’s needed to bring your website to the top of Google. If you want to get a backlink on my blog, whether here on Anne Cohen Writes or on Anne Cohen, you can see my current rankings which improve daily by checking my MOZ ranking. My SEO methods are hard work, white hat, and I’m incredibly determined. The Blogspot account is currently a PR 46 and a DA of 90 and ACW (Anne Cohen Writes) is currently PA28 and DA17. I sell do-follow backlinks (the good ones that bring link juice to your websites), I accept guest posts which include one do-follow backlink (providing a 500 word minimum all original content), I accept sponsored posts, and I’m open to getting advertisements on the sides of both sites (which provide one do-follow backlink in a widget), which is basically a picture or business logo of your choice). 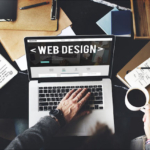 All of these things can improve your website’s ranking, visibility on Google and all other major search engines, and ultimately, improve your business and website. If you have any PR related inquiries or questions in regards to getting backlinks or advertising, feel free to email me directly at arcwrites@gmail.com. As far as prices, I have a standard price list that I can send you upon your request. I always provide new customers with a first month special. Thanks for reading. The following are my current Alexa rankings. Click here to view my Alexa ranking now, today, and in case you’re reading this at a later date than it was originally posted. 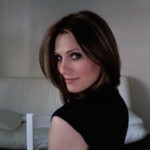 Click here for Anne Cohen and click here for Anne Cohen Writes. 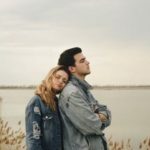 An awesome post as always. You haven’t mentioned scholarship links in this (although it is mentioned in some other post by you), which is also a great method to rank low and medium competitive keywords. Very quick and straightforward distinction. I get asked this question all the time but I usually include a third category in my explanation – grey hat. Hey!What a good article.Great post.I was planning to buy search engine traffic using Google Adwords for my main keyword terms, but now I think these tips will give me traffic from google for free.Thanks for sharing! Great tips, Anne. I was not aware about the micro sites. I do not know much about backlinks either. Thank you for posting.